Awarded for an outstanding act of seamanship. The previous two recipients were Ellen MacArthur and Pete Goss. 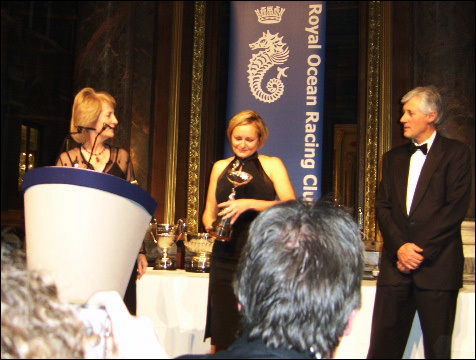 Caroline Sternberg receiving the RORC Seamanship Trophy from Janet Grosvenor and David Aisher. Berrimilla was in the southern Indian Ocean at the time. 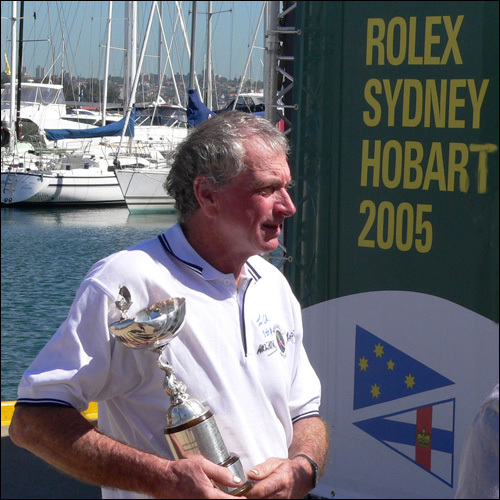 Caroline sailed several Sydney – Hobart races in Berri, including the 1998 storm. 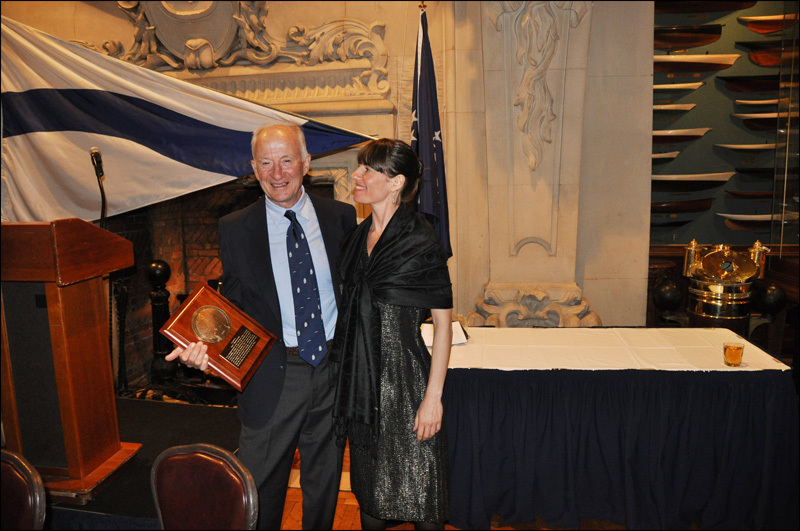 Peter Crozier with the RORC Seamanship Trophy. 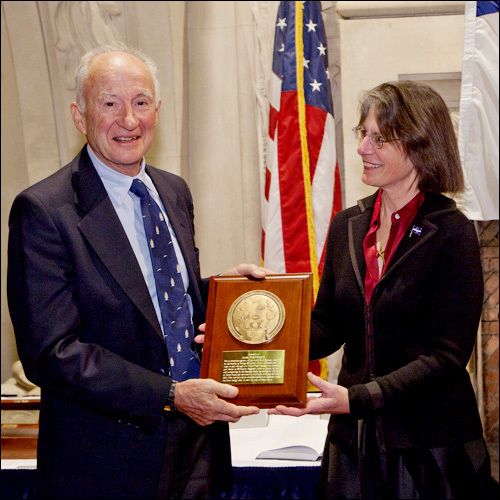 Alex receiving the CCA Blue Water Medal for 2010 from CCA Commodore Sheila McCurdy in the Model Room at the New York Yacht Club.